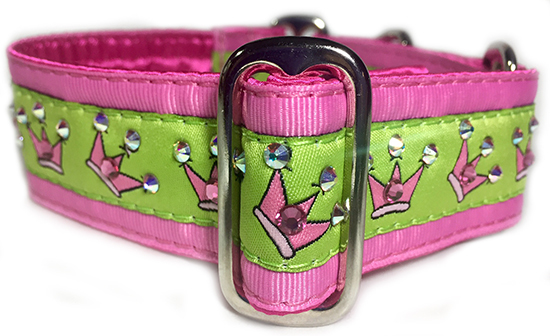 Cute jacquard ribbon with pink princess crowns adorned with GENUINE Swarovski crystals in rose pink and crystal ab against a bright lime green background is sewn onto a pink ribbon background. 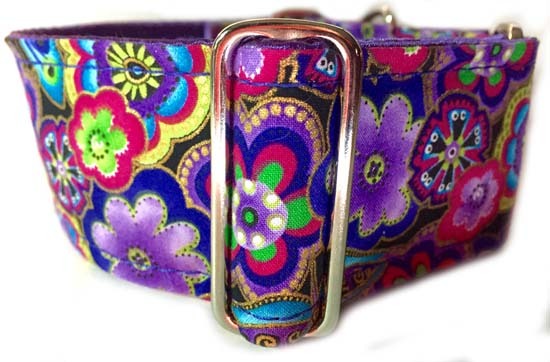 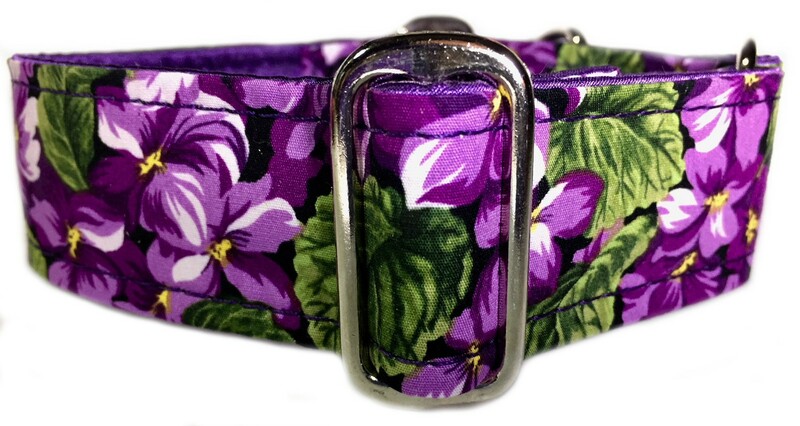 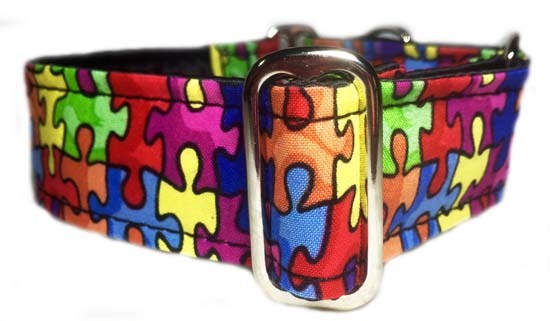 As with all of our collars, the strong yet flexible base is first completely wrapped in silky soft cuddle satin. 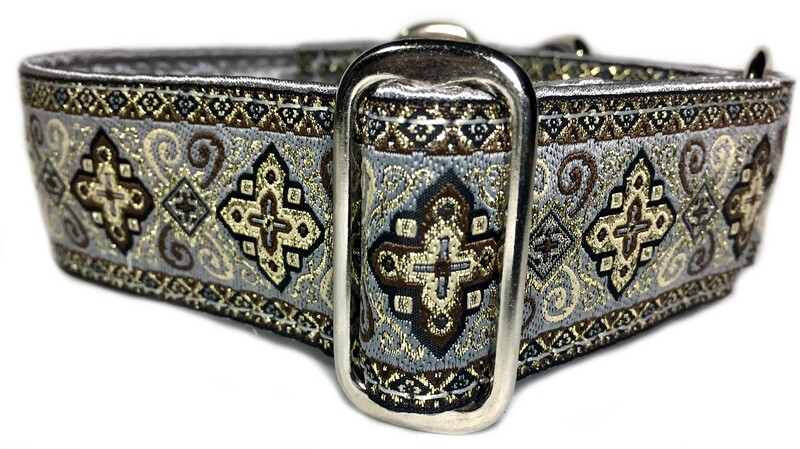 Photo shows a 1.5" wide martingale put together with nickel hardware. 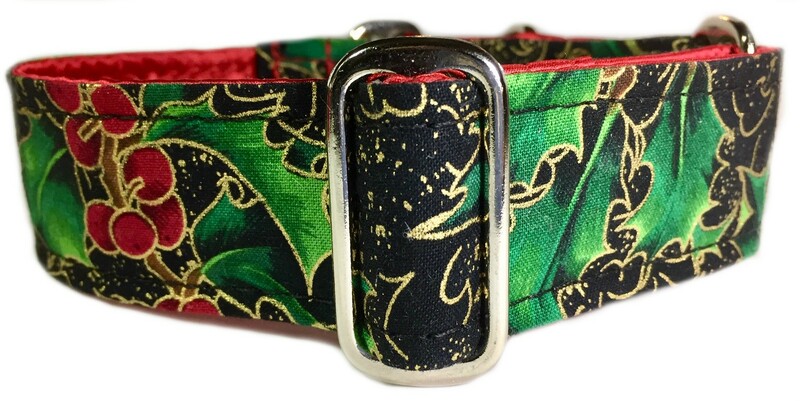 The 1" version will not have the pink ribbon background behind the lime ribbon.